Every once in a while, you see a wedding dress that really wows you, even if you aren't a bride-to-be. 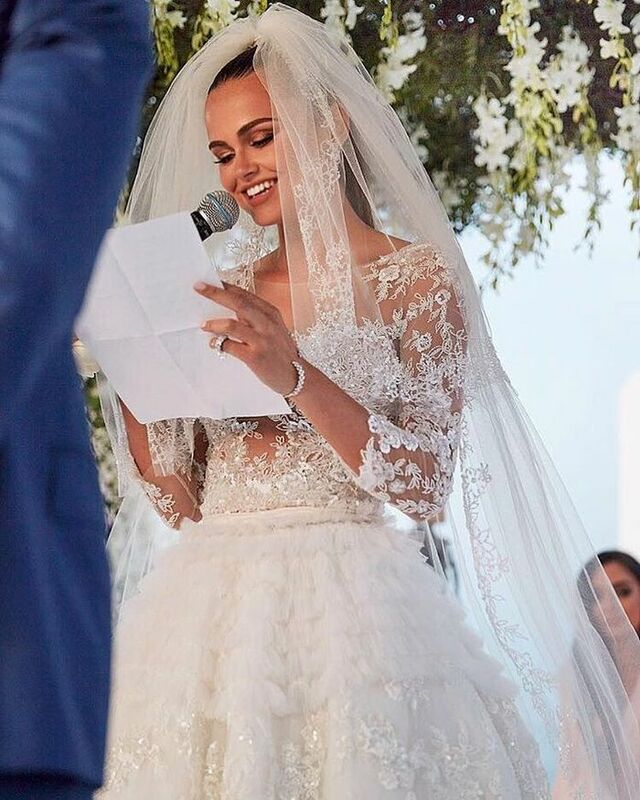 Victoria's Secret and Sports Illustrated model Xenia Deli's dress gave us the same reaction, thanks to her behind-the-scenes glimpse on Instagram. The co-star of Justin Bieber's "What Do You Mean?" video recently posted a full-length view of her wedding dress prior to her big day, prompting 27K likes and over 200 comments. The dress, designed by Zuhair Murad, is all ruffles and lace in the back, and we totally approve. Check out Deli's beautiful bridal look below.